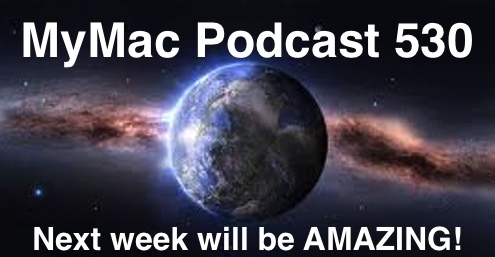 MyMac Podcast 530: Next Week will be AMAZING! Guy updates to Yosemite which turns out to NOT be a great idea since his recording layout got hosed. Gas is in top form however and teases Guy about his lack of having SoundBoard by using…well…SoundBoard. They talk about Microsoft 365 and options available free or otherwise and it turns out that the more expensive option could be the best one. Guy’s App Pick: Duplicate Detective by FIPLAB ($2.99). Drop a folder on it and watch it find the duplicates. Then watch as it deletes them for you. That’s about all it does but it does it well. Gaz’s Pick: Rambling’s Podcast BBC with Clare Balding.